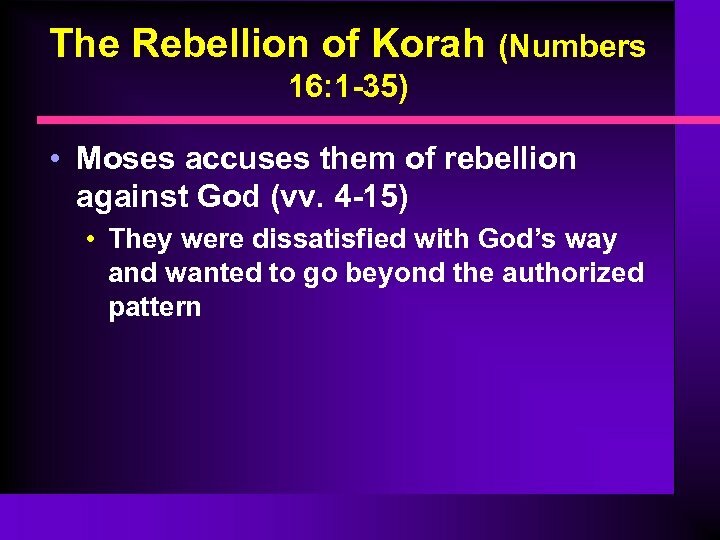 The Rebellion of Korah (Numbers 16: 1 -35) • God punishes Korah, Dathan, and Abiram by swallowing them into the earth (vv. 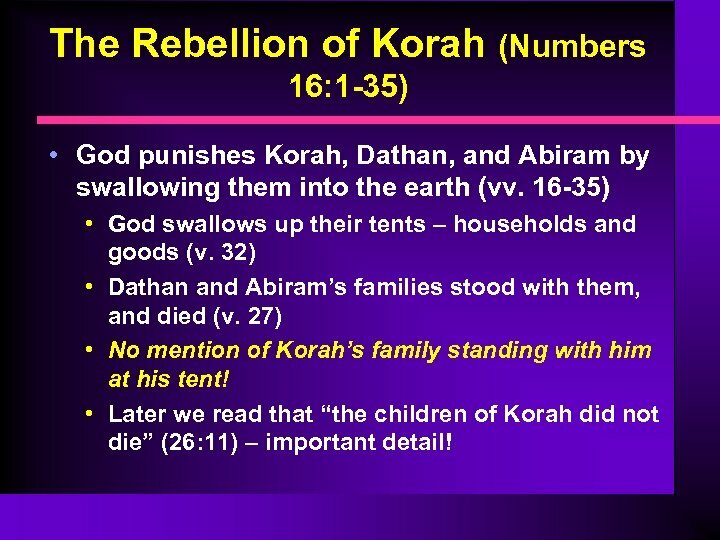 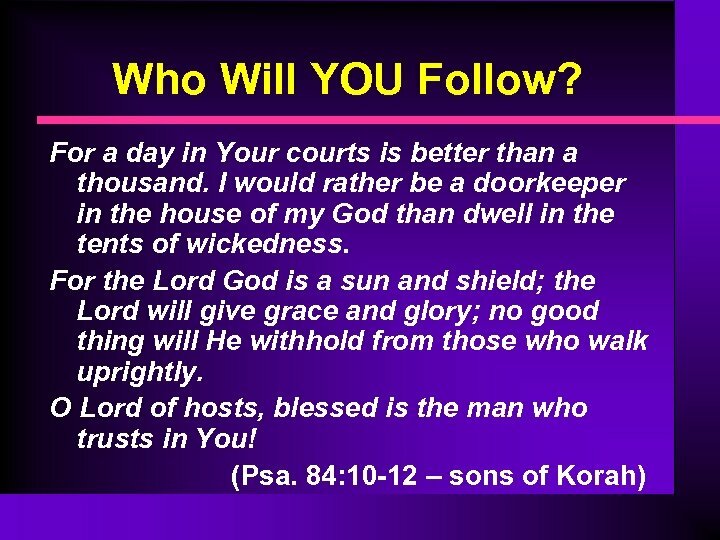 16 -35) • God swallows up their tents – households and goods (v. 32) • Dathan and Abiram’s families stood with them, and died (v. 27) • No mention of Korah’s family standing with him at his tent! 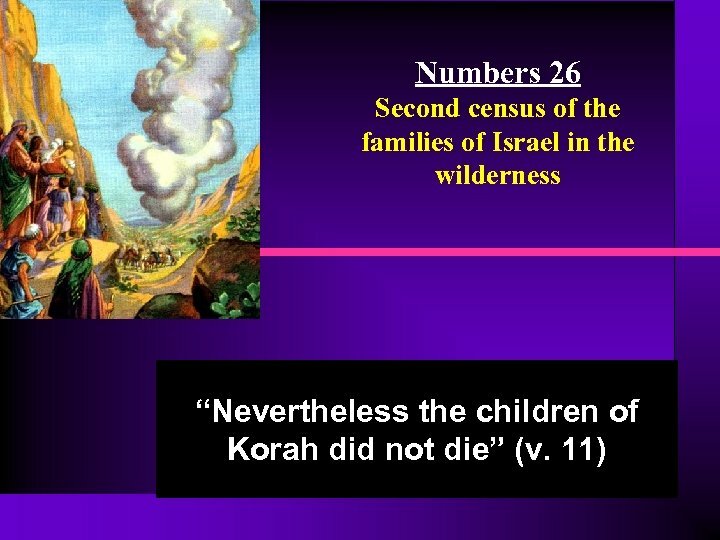 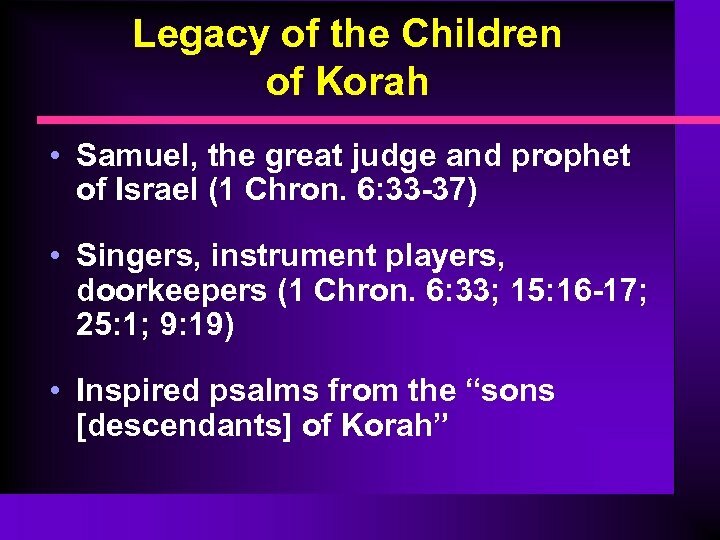 • Later we read that “the children of Korah did not die” (26: 11) – important detail! 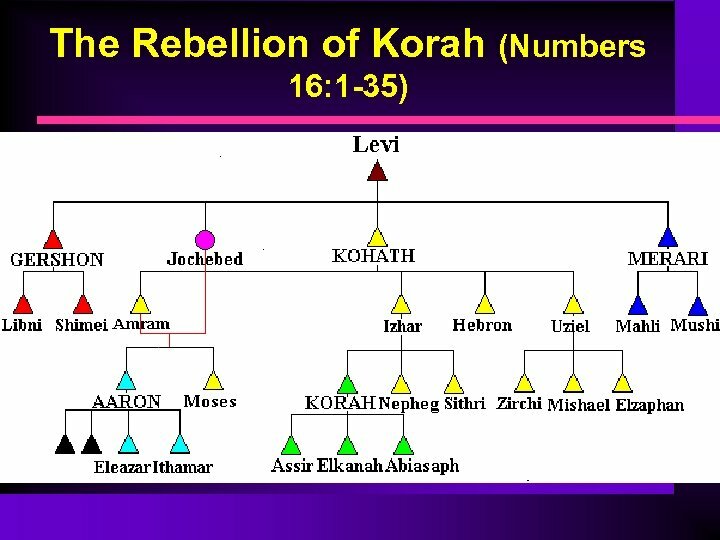 The Rebellion of Korah (Numbers 16: 1 -35) • Why did they “not die”? 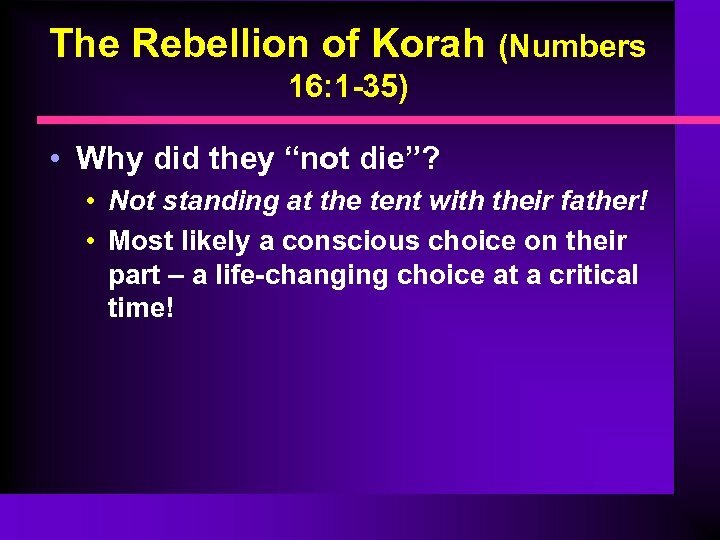 • Not standing at the tent with their father! 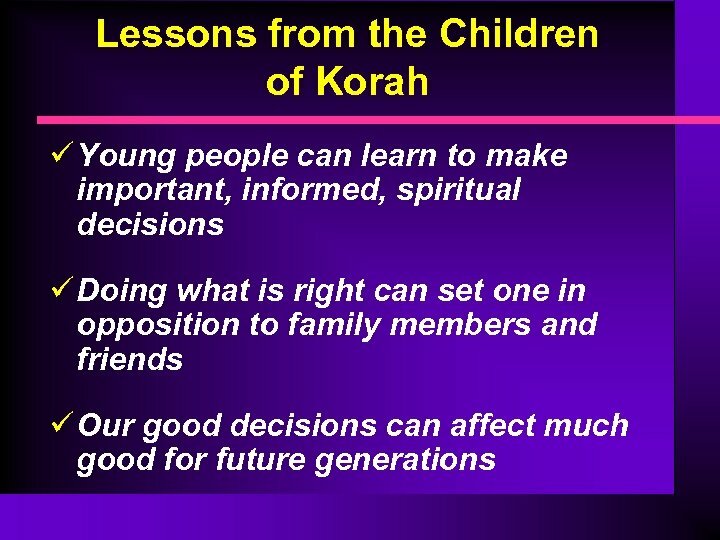 • Most likely a conscious choice on their part – a life-changing choice at a critical time!